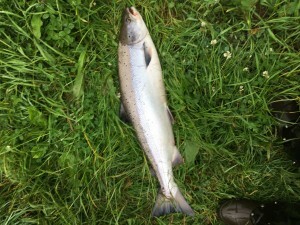 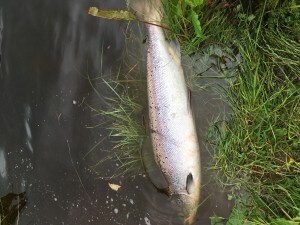 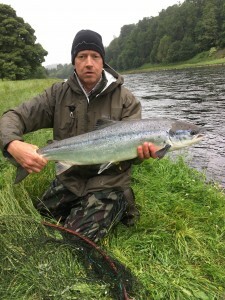 After the heavy rain at the end of June the river was up at two feet eleven inches and a bit peaty Steve Grant had four fish from the boat pool John Trodden had an eighteen pounder the day before the spate and Rob Morison had a nice fresh griles on the Monday, there have been three fish caught this week, even with the water back down, there are still fish to be seen. 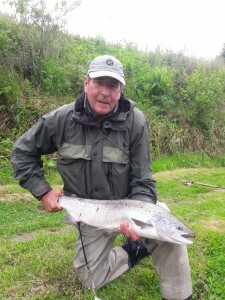 Steve Grant with his four fish. 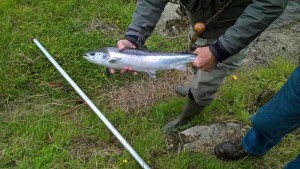 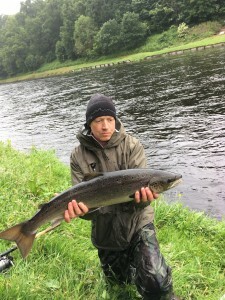 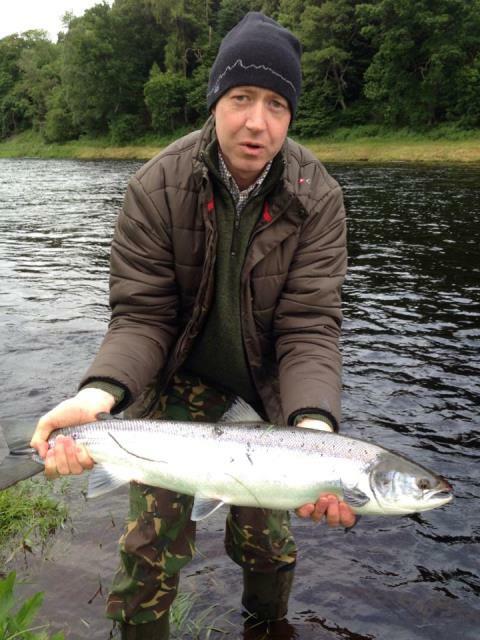 Rob Morison with his grilse.